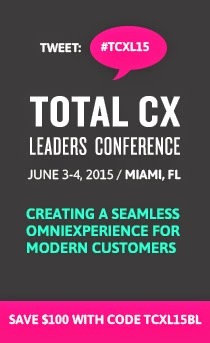 Customers 1st: Day 1 Keynotes - It's all about people! Three powerful keynotes on Day 1 - and it was all about people. Relationships between you and other people as the key to your personal and professional success. Managing by knowing your people, really knowing them, not just by the numbers. And telling stories to people as a way to achieve your goals - starting off with your own. This last point brings me full circle back to last night at Kevin Carroll's talk. What made that so powerful was the simple truth that his story is his life's work. Telling it is what he does and in so doing he motivates others to pursue their passions. There is clearly a theme running here in our keynotes! Now back to today this morning. First off was Keith Ferrazi, author of Never Eat Alone (which based on the line after his talk we now all have a copy) who found in a way to get us all talking to total intimately to total strangers. Sure we were only practicing, but he drove home through these exercises how superficial our interactions often are and how we need a different way of being in the world if we are to build mutually beneficial lasting relationships. As you really don't get anything done in this world alone, everything requires other people to help you do it. Keith smashed our paradigm of the business relationship helping us to see we need personal relationships at work. Keys to building those relationships? I was truly moved by his idea that our job is to walk around the world and produce an environment that invites people in...and that to do that we need to find something in everyone we talk to that we can care about and also how we can help them. I sensed a lot of us left his talk wondering if we are up to that challenge. By the way, I was a circle (other choices were triangle, squares and z's). Which were you? And was that a bunch of Z's I saw partying late last night in Downtown Disney? Next up was Joe Torre, known to anyone who knows anything about baseball as one of its most winning managers and known to Boston Red Sox fans (like me) as one scary dude. What was always so scary about Joe was the calm way he sat in the dugout, nothing ever seeming to phase him, as if he knew his team would find a way to win. And they usually did. Joe kept his message simple - It's about people. Managing by the numbers has become all the rage in Baseball, but in the end it comes down to people. A hitter facing a pitcher. An outfielder going for a ball. Baseball is a stange sport that features team play - one player at a time. Torre emphasized how over the years he worked to make this paradox clear to his players - that if they wanted to to win they need to ignore their individual stats and focus on the only numbers that matter - wins and losses. Each day he urged his players to think of what they needed to do better to help the team. Little things, he noted, like getting high paid stars to run faster to first place - can make the difference in a tight ball game. And that means every player has to come to play every single day - you win or lose as a team. Then we heard from Peter Guber - one of Holllywood's most successful producers (my favorite Guber flick was the Tim Burton production of Batman) - telling us the simple truth that people were born to tell stories - that throughout our prehistory that is all we could do - no writing, just orally conveyed information. This ability Guber explained is in us and is ready to be tapped as a tool we can use to accomplish our goals. Telling great stories - important - got it. But how you do that? Echoing strains we heard from Carroll and Ferrazzi, Guber suggested we start by connecting better with our own stories, learning to tell them, connecting them to what we passionately want to achieve, using them as a motivating force for others. We also should take care to let negative aspects of our personal story get in the way of us achieving our goals. He challenged us to think of our customers as an audience. Our job is not just to satisfy them or handle their complaints - it is to provide them with a great experience, to engage them emotionally. This reminded me of Disney's mantra - "we make magic happen every day." Guber urged us to bring the audience into the production, use artificacts passed around the circle to engage them in the telling of the story. What story? Whatever story we need to tell to close the deal, win the case, make change happen in our company, convey to customers what our brand really means. He closed imploring us to think of the story at the heart of what we are trying to achieve. "It's the holy grail." A great morning - many stories to tell - and they're all about people!! !